Most people take the safety and health of their families quite seriously, trying to make sure no harm will come to them, while being more than willing to do anything they possibly can in order to ensure their wellbeing. That's why it is such a surprise to realize that some people forget that sometimes it is the little things that need your attention in order to ensure your family's safety. Here are some of the mistakes we've come across over our years of experience with radiant barrier. 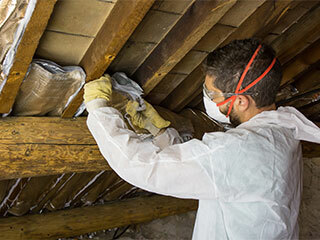 Some homeowners don't think or don't know how important the existence of a radiant barrier is. But its intactness and overall condition are very important to the wellbeing of the residents of the house, no doubt. They also affect your family's monthly expenses and your ability to warm up or cool down the house when it is too cold or extremely hot outside. The existence of the barrier is what allows you to control heat transfer into and out of your house. Why Is It Important to Our Wellbeing? Well, as mentioned, radiant barrier allows you to control heat transfer in your property. When you're trying to control the temperature in your house, you can turn the air conditioning system on and shut tight all doors and windows. But, if for some reason it doesn’t work properly, and there's haze or pollution outside, you'll find yourself either staying with closed doors and windows and suffering from the temperature or opening up the house a bit and suffering from air of poor quality. Why Is It Important for the House's Air Conditioning? If you can't control heat transfer into, or out of the house, you are also incapable of controlling the temperature in the house. For example, if it is a cold day outside, and the air conditioning in your house is working hard to keep it warm and cozy, in case your radiant barrier doesn’t work well, the warm air will escape out of the house and will make your A/C system work that much harder, causing faster wear and tear and greater electricity bills. Gain control over your house today! For more information, contact us.